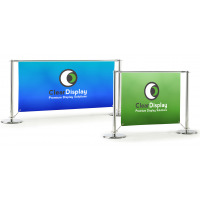 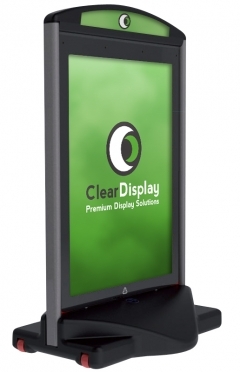 Cafe barriers also provide a brilliant opportunity to promote your important brands or special offers and prices to your customers, but in a subtle and discreet way. 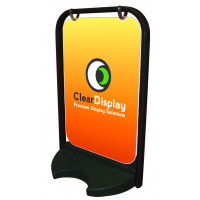 The modern forecourt sign is a good looking, A1 size poster holding pavement sign. 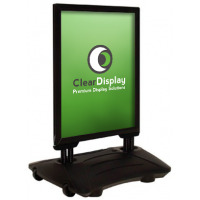 Made with moulded plastic, this black unit has a water-fill base for stability, in-built wheels for ease of movement, magnetic poster covers for easy poster change, and the possibility of branding at the top of the unit. 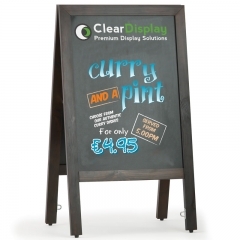 It also has a galvanised steel core for strength. 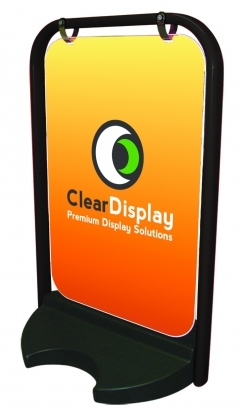 This really is an excellent pavement and forecourt sign. Black snap frame and black base for striking colour. Frame 25mm x 50mm oval section colour co-ordinated steel frame finished in high gloss polyester powder coat. 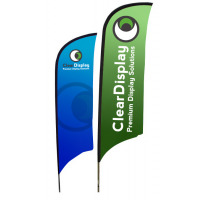 Recycled high density PVC base. 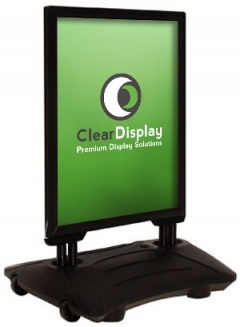 To change posters, all you do is open up the magnetic PVC covers, and slide your poster in. Its as simple as that! 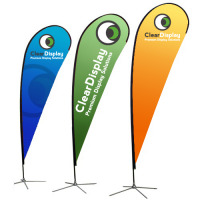 There is room on the panel for extra branding ifg you need it. 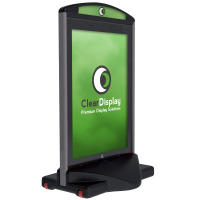 The unit is available in either white or black. 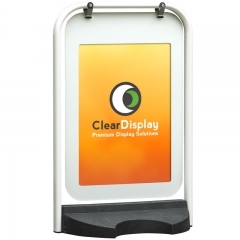 A high quality a-board, with magnetic poster covers. 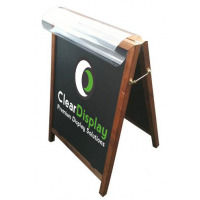 Often called the 'booster', the round-a-board is great for outside shops with a perminent branding option on the top of the board, and easy change magnetic posters on the bottom.